Quilt and Embroider horizontally alongside the width of fabric. 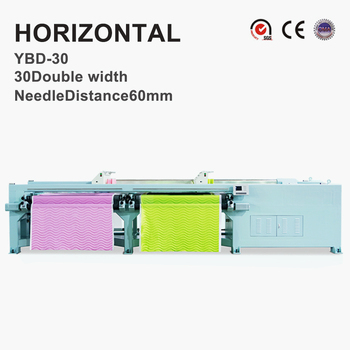 Especially for the horizontal and straight quilting & embroidery designs on the fabric. 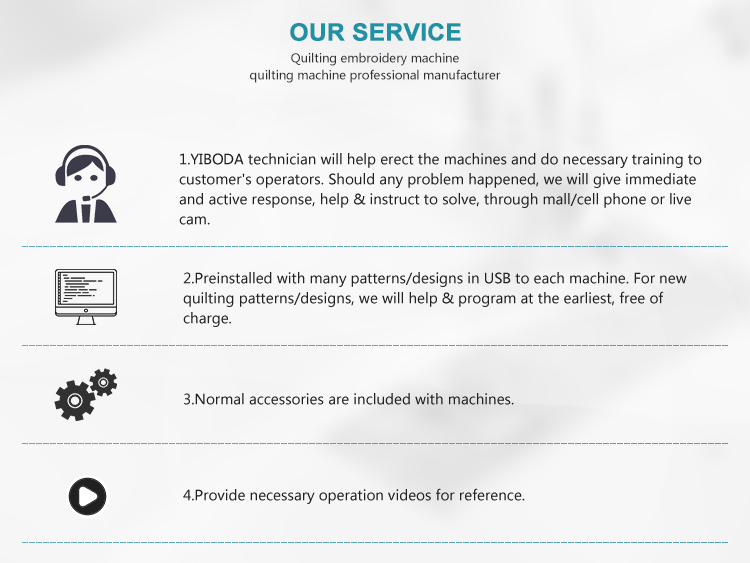 Use 2 independent servo motors to control movement in Y direction and repair independent patterns, that effectively solved the pattern distortion caused by sewing 2 rolls of materials with different shrinkage, thickness on the machine and sewing different patterns on the 2 rolls of different materials.